Farm animal breeds existing around the world today are the result of a millennium-long process of domestication and development by humans. Breeding and crossbreeding have led to great genetic diversity. This diversity is of particular importance in our current time of rapid societal and ecological change. Climate change, animal diseases and new trends in consumption patterns continually force farmers to modify production. Only a broad genetic basis can secure sufficient options for further developing farm animal breeds and adapting them to the changing conditions. Availability of genetic resources is of particular significance to poor smallholders, who often earn an essential share of their livelihood from livestock husbandry. Animal genetic diversity is in jeopardy. No less than 20% of around 7600 domestic animal breeds currently existing throughout the world are endangered. During the past six years, the world lost one breed each month. This unfavourable development has various reasons. One of the most important is the trend away from traditional production systems that use locally adapted breeds towards industrialised production based on few highly productive breeds. Further reasons are epidemics and other disasters, and, finally, the fact that agricultural incentive policies often work to the disadvantage of animal genetic diversity. Farm animal breeds must be systematically characterised and inventoried, and their development needs to be documented. The resulting data are necessary as a basis for conservation and breeding programmes. National governments must encourage sustainable use and further development of breeds, at the same time taking special account of the environment, food security, and indigenous production systems. Measures for the conservation of animal genetic resources must be taken at both the national and the international levels. They should give priority to in-situ conservation. Institutions and knowledge need to be developed as a prerequisite for successful implementation of all other measures. However, goals alone are not enough. Success is only possible once they are actually implemented at the local level. Experts pointed out potential approaches at a scientific forum held during the FAO conference. For example, the authors of an essay entitled Sustainable use and genetic improvement argue that animal genetic resources can be preserved by promoting their sustainable use. This, however, must be profitable for the farmers. 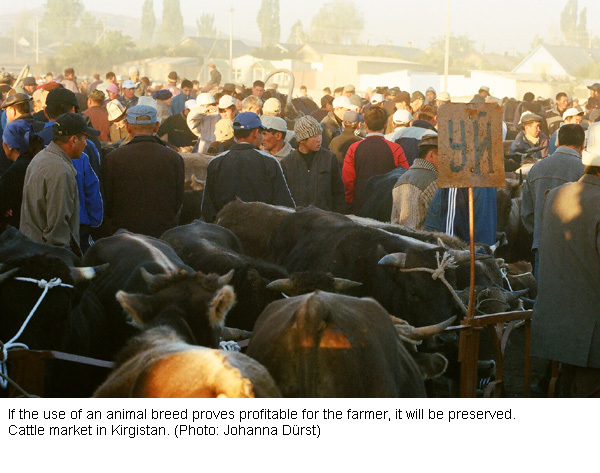 Therefore, locally adapted breeds need to be improved. Simple breeding methods and the exchange of breeds between countries with similar overall conditions could already lead to considerable achievements in this regard. On the other hand, there is a need for improving the conditions for production: farmers need improved access to suitable land, veterinary services, credits and training, and they should try to take advantage of niche markets for local specialities. > The state of the world’s animal genetic resources for food and agriculture – in brief. Commission on Genetic Resources for Food and Agriculture. FAO. 2007. 39 p.
> The Global Plan of Action for Animal Genetic Resources and the Interlaken Declaration on Animal Genetic Resources. FAO. 2007. 33 p.
> Scientific Forum on Animal Genetic Resources. Various contributions by: Carlos Sere, Akke van der Zijpp, Gabrielle Persley, Ed Rege, Michèle Tixier-Boichard, Workneh Ayalew, Han Jianlin, Chanda Nimbkar, John Gibson, Mwai Okeyo, Paul Boettcher, John A. Woolliams, Oswald Matika and James Pattison. FAO. 2007. 75 p.
Striking a balance between people and nature, as well as between divergent groupings of opinion is a highly complex endeavour. Arguments in favour of human displacement posit that the presence of humans has a negative influence on biodiversity conservation. Yet, few studies have weighted the ecological gains against the human losses generated by such an approach. This report studies from a historical perspective human displacement due to both conservation and large-scale economic development projects. Since the early 1990s, both types of displacement have come in for serious criticism. Based on several case studies, the conservationist community attempts to shed some light on the ethical considerations which should influence the actions which policy-makers decide to take. This means that the latter must take greater responsibility for the local population who are forced to move or whose access to resources is affected. Today, the international community is increasingly turning its attention to the importance of governance, as well as the importance of the numerous actors from the conservation and development communities. Both this situation and a review of the role of institutions should encourage the formulation of more appropriate choices. With little savings, it is a constant struggle for the poor to recover from natural disaster. Their child falling ill or the death of their only cow makes the poor even poorer. According to a recent study, 23 of the 100 poorest countries in the world do not have formal insurance targeted at the most disadvantaged members of their population. The little insurance which does exist is provided first and foremost by community-based organisations, which have the advantage of operating in close proximity to the poor, but are severely restricted in the provision of such services due to a lack of professional staff and expertise. 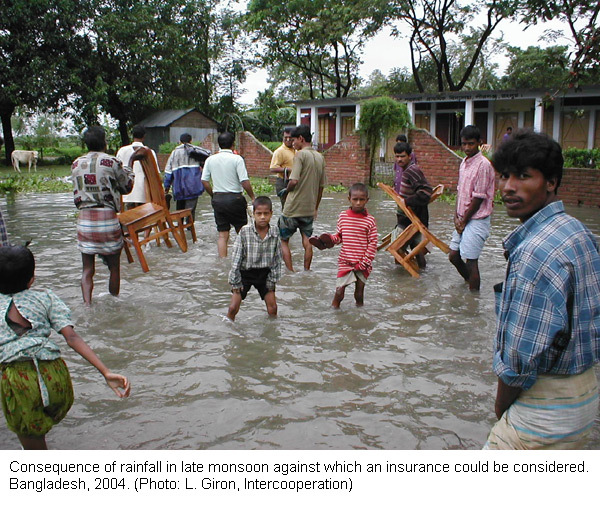 In India a new insurance product, the “weather index insurance”, compensates farmers for the loss of income due to a disaster, enabling them to stay afloat economically during times of crisis. Compensation is only paid out when an insured weather event actually occurs, though it does not always cover the losses experienced by the individual farmer. Coverage is provided by the private sector, with or without little public subsidies. The growth of new international finance mechanisms against risks could potentially lead to the creation of a partnership between financiers, local micro-insurance providers and the poor. Today’s extinction rate of plant and animal species is up to 1000 times higher than the natural extinction rate. This development can only be counteracted if the significance ascribed to biodiversity is substantially increased in land use decisions. The question arises of how plant and animal diversity can be adequately valued. The latest technical report of the Convention on Biological Diversity provides an overview of various valuation methodologies and tools. These are based on a broad understanding of values, including not only direct and purely economic values, but also the indirect significance of biodiversity for ecosystems, as well as cultural and social values. However, it will not do to simply define values. These values will also need to be integrated in decision-making processes. In this regard the report presents both economic and more complex non-economic approaches. For example, importance is attached to a new and more comprehensive calculation of national economic performance. National governments will not be in a position to set the right priorities for biodiversity conservation unless they include the state of natural resources in their national accounting. However, developing countries often lack the competence and data necessary to implement adequate biodiversity valuation. The report ends by outlining measures to resolve these shortcomings. of biodiversity and biodiversity resources and functions: How should we value biodiversity? Secretariat of the Convention on Biological Diversity. Technical Series no. 28. 2007. Montreal, Canada, 71 p.
The diversity of small and medium-sized timber forest enterprises in developing countries make it difficult to assess the contribution they make to sustainably reducing poverty. From August 2005 to June 2007, a project examined the role and place of community forest products (CFPs) in terms of fair trade and certification. 52 timber companies (intermediaries) from 21 countries took part in a survey on the demand for and consumption of “ethical” forest products, the advantages of such a market and the involvement of CFPs in this market. Case studies were undertaken in four countries; these involved all players in the sector (communities, buyers and producers, as well as the links between these groups). The report finds that there was consensus on the demand for a mechanism to distinguish CFPs. It also concludes that there are real opportunities within and outside certification labels and fair trade to achieve this aim, and that such measures have the potential of improving the livelihoods of the forest-dependent poor. Source: Who wants fair trade timber? Report of an international workshop on: Distinguishing community forest products in the market: A collaborative project to enable consumers to better recognise community forest products, 1st October 2007, Edinburgh. 20 p.
Farmers – and sometimes also entire rural communities – often develop innovative solutions for enhancing their agricultural production and improving their livelihoods. This is often not a simple, linear development, but rather an iterative learning process: innovations are tested, adapted and improved, and experiences are shared. 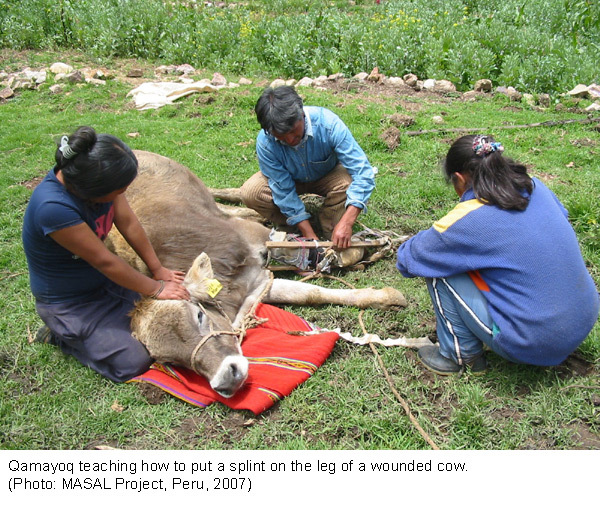 This leaves room also for combining indigenous knowledge with scientific results. Developing local innovation is a frequently underestimated and poorly tapped potential for rural development. Aside from innovative farmers there is a need for an institutional setting that encourages innovation and mechanisms for its dissemination. Investors are hardly interested in this type of innovations, since they are often considered common goods. For this reason, various so-called “innovation support funds” (ISF) have emerged over the past years. This study analyses five such ISFs with regard to their goals, mechanisms and learning processes, but also their efficiency and other characteristics, with a view to generating new ideas for a “global innovation facility”. A detailed conceptual introduction to local innovation offers a sound and important basis for the subsequent analysis of ISFs. Source: Supporting Local Innovation for Rural Development: Analysis and Review of Five Innovation Support Funds. Esbern Friis-Hansen and Henrik Egelyng, Danish Institute of International Studies. DIIS Report 2007:4. 88 p.
What calls for particular attention when cultivating papaya? What do the most important tomato pests look like, and how can they be prevented? These and many similar questions are answered by Infonet-BioVision – a new internet platform tailored to the needs of rural populations in East Africa. Infonet-BioVision provides information about simple and ecologically appropriate measures for improving plant health in the most important crop species. Easily understandable texts offer advice with regard to cultivation, care and harvesting of each species. 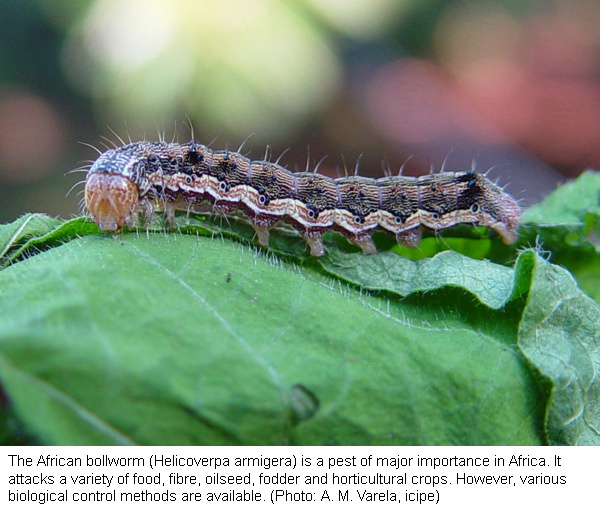 In addition, they point out prevention strategies and biological control methods for diseases and pests. Along with texts and illustrative photographs of specific crops and pests, the website also offers information about various methods and technologies of organic farming. The texts include feedback from local users, thus ensuring that the information provided meets their needs. Infonet-BioVision is still being further developed. Alongside the existing chapter on plant health, further chapters on animal, human and environmental health are planned. The Hyogo Framework for Action was adopted in 2005 with the aim of enhancing the resilience of nations and communities to disaster and strengthening their coping capacity. While many institutions concentrate on implementing the framework at the national-level, this publication addresses the local level. Starting from the initial question of what exactly the definition of a resilient community is, the author elaborates a set of indicators and corresponding characteristics based on an extensive survey of existing literature. The indicators are grouped into five thematic fields, including not only disaster-specific aspects, but also more general, yet no less important, areas such as governance and knowledge and education. A link to the national level is given through indication of favourable overall conditions. The list is very comprehensive. It is meant to be used as a source from which actors in a participatory process can individually choose the elements most appropriate for their specific situation. In a next step these are prioritised and, if necessary, further processed. However, at the local level this requires skills in facilitating participatory processes and in building consensus. The authors are hoping for feedback from the field that will help them prepare a second, revised edition. > Hyogo Framework for Action 2005–2015. Development agencies are currently shifting their focus away from project work and more towards direct budget support for governments. Nevertheless, a new study has found that projects continue to play an important role – particularly in revealing everyday problems faced by the poor population, on the one hand, and policy shortcomings, on the other. However, special efforts are required to bring project experiences and resulting ideas to the attention of policy-makers. Those in charge of projects must develop a detailed understanding of political processes and the political environment. They must be able to present relevant results and communicate them in a convincing manner, and engage in networking with policy-makers. Using FARM-Africa projects in South Africa, Kenya, Tanzania and Ethiopia as examples, the authors show how it was possible for these projects to successfully influence policy-making. In Tanzania, for example, project workers succeeded in winning government support for setting up a system of community-based animal health workers, despite the fact that animal health services had been privatised by law in the 1980s. This success was made possible above all by organising meetings and workshops with important stakeholders, presenting case studies, and establishing a special “policy working group” that took over the task of lobbying. Source: From Grassroots to Government. FARM-Africa’s experiences influencing policy in sub-Saharan Africa. Alastair Bradstock et al. Overseas Development Institute (ODI). 2007. 58 p.
Farmer-to-farmer programmes, which seek to provide the farming community with voluntary technical assistance, were first developed 30 years ago in Latin America. Despite the success and recognition of this approach, the traditional top-down approach, i.e. the transfer of technical expertise from the technician to the farmer, persists. 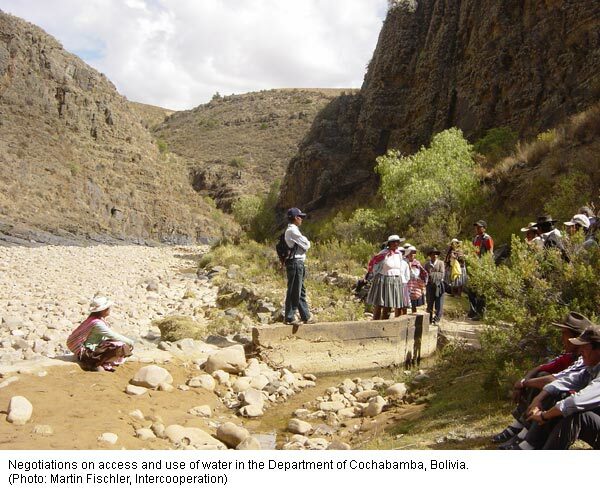 To improve our understanding of this phenomenon, the Latin-American knowledge management platform (ASOCAM) conducted three projects that aimed to share and promote their experiences in this regard in favour of local development. Strategies which were likely to influence public policy have also been analysed. What materialised from this process was the creation of the web portal: “Farmer-to-farmer technical assistance services”. It details the experiences of the Yapuchiris in Bolivia, the Kamayoq in Peru and promoters in Nicaragua in relation to the demand and supply of these types of services. Visitors are also able to register and offer their services. This Spanish-language portal also provides documentation, which is updated with presentations, experiences, workshops and events. Source: Portal Temático Regional ‘Ofertantes Campesinos de Asistencia Técnica’. www.asocam.org/portales.shtml? Forty percent of the population of Swaziland is in acute danger of starvation. A long dry period has led to one of the poorest maize harvests ever. At the same time, the Government of Swaziland has decided to make land available to a private enterprise to cultivate cassava for biofuel production. This example clearly illustrates the dilemma faced by many developing countries in their struggle to achieve food security for their populations. Joachim von Braun, Director of the International Food Policy Research Institute, names other factors, apart from climate change, that pose a threat to food security in developing countries: growing demands for food among population segments earning medium and high salaries, but also economic risks, market barriers, and the increase in energy prices. Growing demand means rising prices for staple foods. However, according to Joachim von Braun, only a small share of all smallholders have the necessary resources to participate in the market, and only this small share is able to profit from the rising prices. There is an urgent need for investments in rural infrastructure, such as development of road networks and improved access to seed, markets and extension services. Cooperation among smallholders broadens their options and strengthens their position in negotiations. Moreover, innovative insurance models can help to improve the situation of the poor population and balance the risks. > Swaziland: Coping strategies wear thin in ongoing food crisis. IRIN, Humanitarian News and Analysis. 17 October 2007. > Swaziland: Food or biofuel seems to be the question. 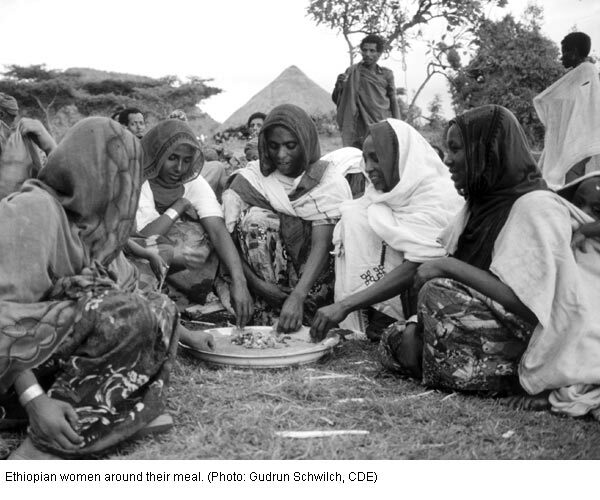 IRIN, Humanitarian News and Analysis. 25 October 2007.